January 8, at the Tafawa Balewa Square in Lagos. Your Excellency, the chairman of our great party, Alhaji Adamu Muazu, senior members of our party here on this great occasion, we have spent so much time here so I will not bore you with protocols. Today, I am going to address only a segment of the Nigerian population. I am going to address the people who are voting for the first time, those of you who will attain 18 years this year. That means I am addressing the young people. I do not want to address old people like me, because we are spent already and I will crave your indulgence Nigerian youths, those of you who are here, and those of you watching us at home, listen to what I am saying. I am going to address political gatherings in 37 cities and I am going to dwell on three key things. I am focusing on the young people. If you listen to us in the 37 places we will address these issues, you will now know where to cast your votes. I will address you in all the places on three issues. The first is the issue of insecurity. I am also going to address whether this administration is fighting or encouraging corruption. I am going to address the issue of weak government and unfocused government that has no plans. Yours is to listen and compare with everything that has been done before in this country and take a decision. I will not keep you here for too long because we still have the opportunity… I am going to raise just very few issues today and tomorrow I will continue in Enugu and then on and on and on. First let me tell you about the voter’s card. First when we came in here we saw some placards, some of you complaining that we are yet to get a permanent voters card. Only yesterday, I directed that every Nigerian (of voting age) must vote. INEC must make sure and government will not allow a situation where some (eligible) Nigerians will not vote; we will not allow it. All Nigerians must vote and I mean it. You must prevent people from touching money, you don’t give them the opportunity or test them with money and this is what government is doing and we are succeeding in a number of areas in our procurement processes. The relevant agencies will address Nigerians for you to appreciate what we are doing. They say the government is weak, they say we are un-focused; we have no plan. So Nigerian women, you cast your votes and go back to the kitchen and die there or you cast your votes to liberate yourself. The Nigerian women must decide where to cast their votes: you vote and go back to the kitchen and die in the kitchen or you cast your votes to liberate yourself. We are ready to liberate all Nigerian women. First and foremost, what do I mean by 21st century Nigeria? The word 21st century is now ubiquitous and superfluous in any political and economic dialogue but its significance have not diminished nor become pliable. 21st century has been called the century of possibilities and at one point it has been called the African century. The 21st century is anticipated to be a century that Africa will put her house in order and take her place under the sun. Nigeria being the largest economy and most populous in Africa is expected to be in the vanguard. The antecedent century was marked with African humiliation of conquest by European invaders, swiveled around slavery and colonialism. Therefore with the emerging 21st century, Africans in general and Nigeria in particular must assert themselves with innovative breakthroughs and scientific ideas in high technology, modern education and high standard of living to achieve sustainable freedom and true independent. Nigeria is gearing and getting ready for an important 2015 election in February. 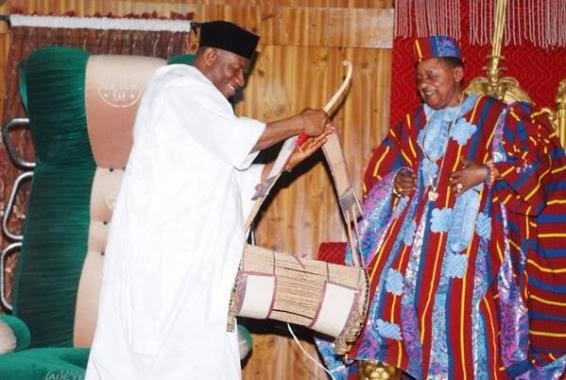 The two rivalry parties, Peoples Democratic Party (PDP) and its major opposition, All Progressives Congress (APC) have finally produced their presidential candidates. 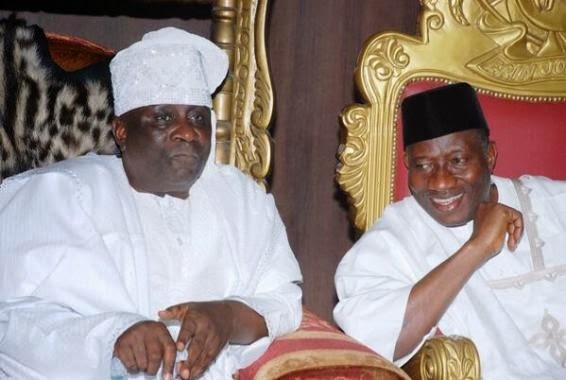 The incumbent Nigerian President Jonathan of PDP will be challenged by retired General Buhari of APC. This is a serious election due to the circumstances that Nigeria found herself. Nigeria has surprise both her friends and foes on her economic and political sustainability especially on her continue existence as a corporate entity. Contrary to the proposition forwarded and propounded by naysayers Nigeria must continue to exist as a united country beyond their 2015 prediction of disillusion and meltdown. That is where the question of leadership comes in; Nigeria needs an intelligent, prudent, reliable, patriot, peaceful and unity conscious leader. 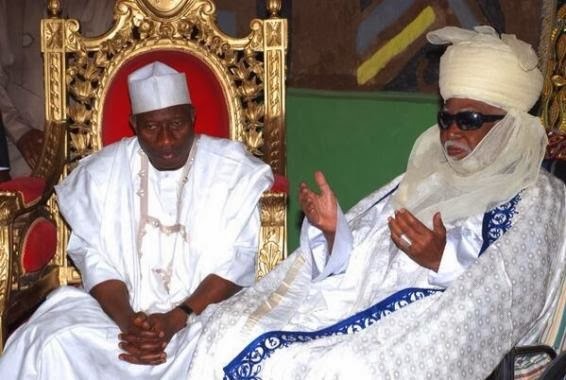 President Jonathan or General Buhari: who is the best candidate suited to be called the leader of 21st century Nigeria and who can lead Nigeria to the promise land. As I have aforementioned Nigeria is in a unique position. Economically speaking and despite the falling oil price, Nigeria has achieved an affirmative and quantifiable macroeconomics stability. Nigeria at the moment is the largest economy in Africa, no matter how you look at it, it is a great achievement. The economy is projected to grow at above 5 percent and inflation rate is below 9 percent and attraction of foreign investments conyinues. Although, the nosedive of oil price is nibbling on the strength and value of naira due to overvalue US dollar and fervent aggressive currency speculators, the streams of foreign investments have not waned. Nigeria continues to have its low debt ratios which make it attractive to investors and inducement to leverage capital. On the other side, Nigeria has some traceable and intractable problems with poverty and unemployment. The huge issue of Boko Haram and its destructive tendencies are threat to political stability especially in the north east of Nigeria in particular and the entire northern Nigeria in general. The triumph over corruption must be comprehensive and long term. The defeat of corruption becomes sustainable when the political and social infrastructures are set up and effectively managed. The civic institutions including the security apparatus, courts and media must be independent and incorruptible. The citizens must be empowered to participate in creating a corrupt free society. The clergy, schools and moral leaders must be employed in the eradicating corruption. Our children and next generation of Nigerian leaders must be taught in schools on how corruption annihilates and minimize the wealth and wellbeing of a nation. Nigeria needs a leader that understands and formulates economic policy that can be effectively communicate to investors and can be able to speak the language of economics to capitalists and potential investors. Nigeria needs a leader of purpose that can unite the country’s diverse population for the greater good of our country. Nigeria needs a visionary leader that comprehends how the 21st century world works and understands that a local action and decision have an international implication. 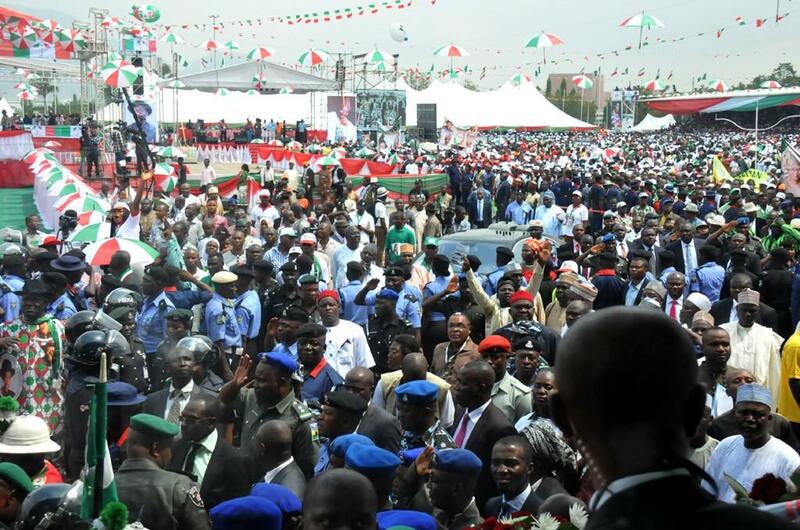 "I, Goodluck Ebele Azikiwe Jonathan, have accepted to present myself on the platform of the PDP." 14. We are committed to environmental protection and conservation and reducing vulnerability to climate change. In this regard, we have embarked on a number of projects across the country. Of particular note is theAfricanGreat Green Wall Programmed, where we have released about 16 billionnaira for implementation. The project will create a green belt across 11 states from Kebbi to Borno. 17. We are reforming the National Urban Water supply programmes in 12 states, with 385 formal and informal irrigation projects, covering a total land area of 118000 ha, cultivated mostly by small holder farmers. This has yielded over 3 million metric tons of assorted grains and vegetables, with a market value of about 45billion naira. 18. Before the advent of this administration, the Railway system was practically dead. Today, we have revived the rail sector. The narrow gauge line from Lagos to Kano has been rehabilitated with improved coaches providing regular services. The rehabilitation of the Port Harcourt-Maidugurirail line is progressing with the Port Harcourt-Gombe segment as well as the branch line from Kafanchan to Kaduna expected to be completed and fully operational by December 2014. 19. Already, work on the Abuja-Kaduna standard gauge rail line, is progressing. The tracks of the rail line will be completed by December this year 2014. Upon completion of the project in the first quarter of 2015, itwill be possible for Nigerians to live in Kaduna and work in Abuja. The Itape-Ajaokuta-Wari standard gauge line has attained an advanced stage, with the track completely laid. We hope to commence full operation before the end of 2015. 21. My administration has successfully completed the dredging of the lower River Niger from Baro in Niger State to Warri in Delta State. The cheering news is that over 6.7 million passengers and over 1.6 million tonnes of cargo have been moved through this channel in less than three years. 23. When I assumed office in 2010, out of the 35,000km of federal roads nationwide, only about 5,000km were motorable. Today, that number has increased to about 25,000km. We expect to complete the remaining 10,000kmin three years while initiating new ones. 28. In housing, we signed the National Housing Policy to kick-start the framework for providing more affordable homes for our people. We have also expanded the National Housing Fund to accommodate more Nigerians. We have started a revolution in the housing sector with the start of the Nigerian Mortgage and Refinanced Company(NMRC) a new initiative of my administration, that will enable more citizens in the lower income bracket to become first time home owners. 34. Gas infrastructure to ensure adequate Gas to Power and Gas to Industry, is being aggressively put in place.Over 450km of gas pipelines have been installed over the last 3years. Another 2,000km is planned over the next 4years. Critical petrochemical and fertilizer facilities have commenced including the gas industrial park in Delta State, for which I am scheduled to perform the ground-breaking this Friday. This will create millions of jobs and make Nigeria a regional hub. 36. In terms of gas supply, we have grown from less than500million cubic feet per day, 4yearsago, to about1.5 billion cubic feet per day currently. Our goal is to attain 4 billion cubic feet per day, over the next4years. 40. Our national food production expanded by an additional 21 million metric tons between 2011 and 2014, a record, exceeding our set target of 20 million metric tons set for 2015.The Dangote Group, has committed to invest $US 1 billion in commercial rice production and processing. With all these developments, we are expected to be an exporter of rice in the next five years. This will be a new dawn! 41. The benefits are showing on our food imports. Our food import bill has declined from 1.1 trillion Nairain 2009 to 684 billion Naira by December 2013, even with our increasing population, a reduction of 40%. 44. My dear people, corruption remain a big challenge in our national life. It corrodes our efforts at development and at motivating competence in critical sectors of our national growth. We have eradicated it in the agricultural sector and we will surely eradicate it in other sectors of our economy. 45. Going forward, my focus is to continue to reinforce institutions, systems, and processes to tackle corruption, and also to bring to justice those that perpetrate corruption. Through the Integrated Payroll and Personnel Information System(IPPIS), we have weeded out 56,000 ghost workers from the Federal Civil Service, saving 162 billion naira. 54. Programmes such as YouWIN, the Graduate Internship Scheme, the Nagropreneurs Initiative, the220 Billion Naira Micro, Small and Medium Enterprises Development Fund and the 3 Billion Naira Grant to Nollywood are empowering our graduates, the creative industry and other young people to start up their own businesses and employ others. 58. My brothers and sisters, our economy is heading in the right direction and our efforts are yielding positive results. Our economy continues to grow at the rate of 6 to 7 percent annually, one of the highest in the world. Our country is now the top investment destination and the largest economy in Africa, with a GDP of 80trillion naira (510billion dollars) as well as the 26thlargest economy in the world. 61. On the international scene, we have advanced our regional, continental and global objectives. We have strengthened our relationships with our neighbours and in many instances supported them to protect their democracy, security and stability. We are serving for a second time within a period of 4years at the United Nations Security Council. This is unprecedented in our Nation’s history. My brothers and sister, this is a growing attestation of our country’s growing influence. 67. It is in furtherance of a peaceful, participatory and inclusive democracy that I signed the Freedom of Information (FOI)Bill into law, to expand the frontiers of our fundamental freedom. 95. We cannot go back to the old ways! We must continue to have free and fair elections. We cannot go back to the era where box snatching ballot and stuffing became the norm. Where your votes never counted. 102. I see a Nigeria where the children of Mustapha, and Christopher, Ade and Ada,Timi and Bunmi, Nnamdi and Namadi, do not go hungry! 2. The first one hundred years were marked by triumphs and tribulations, benefits and burdens, opportunities and challenges. We made some far reaching advances in building a strong, united and prosperous nation. We also overcame the forces of disunity that culminated in a debilitating civil war. We have also renewed our faith in one another, and in our country. We have proven that we are truly a resilient nation. 3. In my address to the nation last year, I did emphasize that we were in a sober moment in our country. We are still in that mood in spite of the many accomplishments of our administration. Our sombreness has to do with the crises of nationhood occasioned by the activities of terrorist elements who have done the unimaginable to challenge our unity as a people. 12. This is why, to assist the afflicted, we have launched the Victims Support Fund, an independent multi-sectoral charity, which will aggressively solicit resources to augment Government’s statutory intervention, in bringing succour to the injured, the displaced and the bereaved. 13. In partnership with Nigerian business leaders and international partners, we have also introduced the Safe Schools Initiative which is aimed at promoting safe environments for education nationwide, starting with the North East region. 14. The Presidential Initiative for the North East, a comprehensive programme to fast-track the economic restoration of this region, which has been the epicentre of terrorist activity, has been set up. 26. Our Administration has made a commitment to ensure that we build and sustain a democratic infrastructure anchored on free and fair elections. International and local observers have attested to the positive evolution of electoral credibility and we cannot afford to relent. 27. We will continue to ensure that the will of the electorate prevails so that political leaders would be reminded at all times that there is a day of reckoning when they have to go back to the people at the polls. Election days must not be days of violence and death. We must remain vigilant to ensure that our electoral process is characterised by peace, security and transparency. 47. An unprecedented number of Airports across the country, are not only being reconstructed at the same time, but being re-equipped and reassessed with emphasis on maintaining global standards. 48. Fellow Nigerians, the goals we set to achieve for our country involve expanding the frontiers of economic freedom. Let us therefore unite with one heart and one mind. All our people must have access to the good things of life. All our people must be empowered to pursue the gift of life with happiness. This is our country; we must build it for our common posterity. The broadcast was made in Abuja, Nigeria Federal Capital Terriotory. 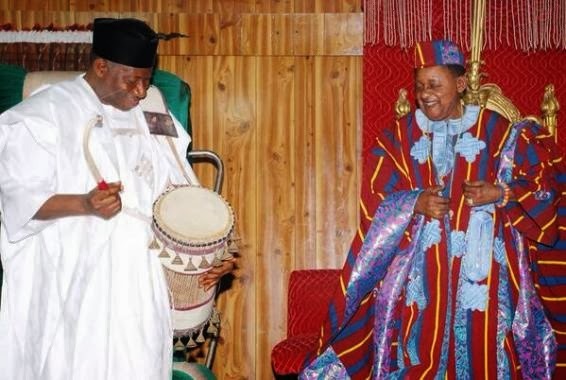 Last month, The Washington Post published an op-ed by Nigerian President Goodluck Jonathan answering criticism of his response to the kidnapping of hundreds of schoolgirls by the group Boko Haram. This is what Jonathan should have written. I have remained quiet about Nigeria's continuing efforts to find the girls kidnapped in April from the northern town of Chibok, because, honestly, I hoped the world would ignore it as just another "African tragedy." But the attention brought by the #BringBackOurGirls social media campaign forced my administration to abandon its usual do-nothing strategy. I admit that for weeks, the Nigerian military was nowhere to be seen in Chibok and aggrieved parents had to resort to venturing into the jungle on foot to search for their children. But I assure everyone, we are doing our best. I am speaking out now because national elections are in less than a year and my Washington PR firm needs to earn the reported $1.2 million I am paying it. I wish to assure Nigerians and the international community that, even though my military wrapped up its investigation into the kidnappings without locating the girls, we are sparing no resources. We will keep the findings of the investigation secret, since my good-faith assurances are enough. While terrorism knows no borders, and security threats rage across West Africa, Nigeria has long been reluctant to accept counterterrorism assistance from the United States and other partners. Nothing is more important than stopping the machinations of Boko Haram, except maybe my desire to keep up appearances and show the international community that Nigeria has been winning the war against the group. 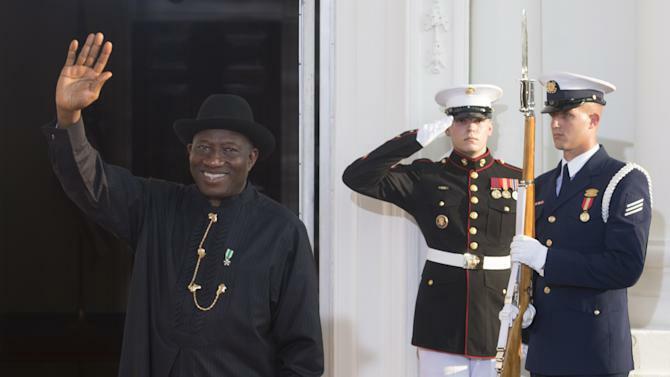 I have characterized Boko Haram as a temporary scourge. In the wake of recent attacks and kidnappings of more women, I recognize that the group has effectively exploited the inability of the Nigerian military to put up any semblance of a sustained, coordinated response. Despite the challenges, we definitely are doing our best. 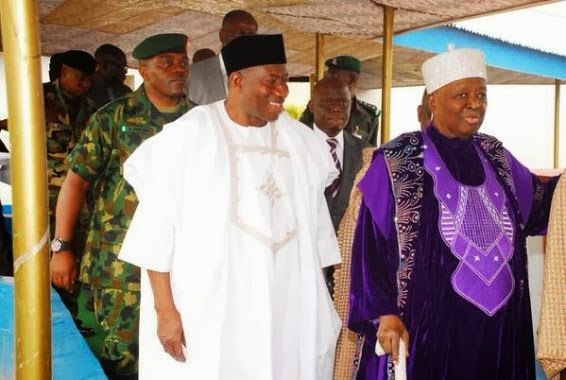 Though Nigeria is a regional powerhouse with a population of more than 170 million, until now it had not occurred to me to collaborate with neighboring countries to fight terrorism. I wish to thank French President Francois Hollande for inviting me and other West African presidents to Paris to discuss this. When it comes to strategizing on African solutions to African problems, a European should take the lead. Besides, I do my best thinking in Paris. My critics say that decades of neglect have led to conditions amenable to radicalization in the north. My detractors will point to human rights abuses perpetrated by the military. Let the finger-pointing stop. I propose to set up an international summit to organize a fact-finding commission of investigative inquiry to study the progress of ongoing investigations of corruption and lack of development in the north. I have asked Hollande to provide a forum for this in Paris, though I would accept the French Riviera. Something positive can come out of the kidnappings in April. The world has seen what can happen when terrorism is left to run amok and the citizens of a country have little faith in the ability of their government to protect them. But I wish to assure Nigerians and the rest of the world that I am doing my best. Karen Attiah works in The Washington Post's editorial department. His Excellency, President Goodluck Ebele Jonathan, GCFR, spoke at the Inauguration of the National Conference Monday, 17th March, 2014. 1. I am delighted to welcome you all to the inauguration of this historic National Conference which promises to be another significant landmark in our efforts to strengthen national unity and consolidate democratic governance in our beloved country. 2. I also believe that this National Conference is coming at a very appropriate time. Having just celebrated the first centenary of our country, the most compelling task before us, as we move ahead and contemplate what our nation will be at the end of its second century, is to lay a much stronger foundation for faster development. 3. This we can achieve by building a more inclusive national consensus on the structure and guiding principles of state that will guarantee our emergence as a more united, progressive and prosperous nation. 4. In our history as a political entity, we have experienced highs and lows but have always forged ahead. To my mind, the fact that we have weathered all storms and continued with the mission of evolving a truly national identity signifies that we are going in the right direction. 5. The strongest nations in the world today also went through their own formative stages; some for decades and others for centuries. We must learn from them that nationhood will not happen overnight, especially given the circumstances of our birth as a nation. 6. History also teaches that nation-building is a journey of dedication, commitment, diligence, perseverance and patriotic vision. To be successful, nation-builders must continually strive to evolve better and more inclusive societies in which every citizen is a proud and committed stakeholder. 7. It was with this objective in mind that we set up the Presidential Advisory Committee (PAC) on the National Conference in October last year and charged its members with the responsibility of designing the framework and modalities for a productive National Conference. 8. 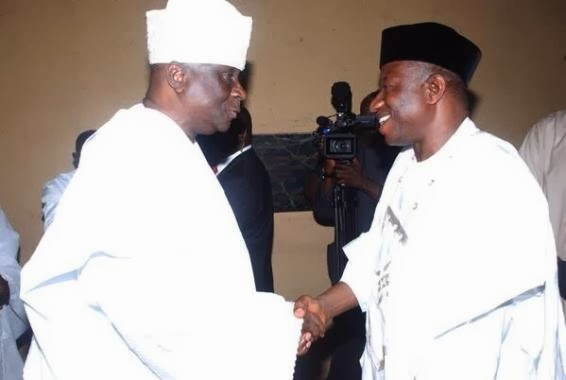 The Committee which submitted its Report in December, 2013, was able to reach out to all Nigerians and various interest groups, socio-political groupings, regional and religious elements, professionals, civil society, the organised private sector, labour, youth, women and others to ascertain their views on the initiative. 9. The Presidential Advisory Committee established that there was indeed, a national consensus for this Conference to be convened immediately, to meet the yearnings and aspirations of our people. 10. The National Conference is therefore being convened to engage in intense introspection about the political and socio-economic challenges confronting our nation and to chart the best and most acceptable way for the resolution of such challenges in the collective interest of all the constituent parts of our fatherland. 11. This coming together under one roof to confer and build a fresh national consensus for the amicable resolution of issues that still cause friction amongst our people must be seen as an essential part of the process of building a more united, stronger and progressive nation. 12. We cannot continue to fold our arms and assume that things will straighten themselves out in due course, instead of taking practical steps to overcome impediments on our path to true nationhood, rapid development and national prosperity. 13. For many years we have discussed and argued over various issues concerning our national existence and well-being. Much of this national discourse has been conducted through the mass media, both print and electronic. More recently, the advent of the age of ICT and social media has greatly enlarged the space for the discussion of our country’s future. 14. Many more young and articulate Nigerians who previously had little access to the traditional mass media have now joined the conversation, motivated by patriotic concern for good governance, peace, stability, justice, equity, fairness and the harmonious co-existence of the diverse groups that make up our great nation. 15. Dear Compatriots, my administration is convening this National Conference today because we believe that we must assume responsibility for ensuring that the long-running national debate on the best way forward for our country is not in vain. 16. It is our expectation that participants in this conference will patriotically articulate and synthesize our peoples’ thoughts, views and recommendations for a stronger, more united, peaceful and politically stable Nigeria, forge the broadest possible national consensus in support of those recommendations, and strive to ensure that they are given the legal and constitutional backing to shape the present and the future of our beloved fatherland. 17. In inaugurating this national conference today, we are not unmindful of the argument of those who say that we do not need such a conference since we already have an elected Parliament and an elected Government in place. 18. As cogent as that argument may sound, I have chosen to act on the sincere conviction that in the truly democratic nation we are striving to build, we must never ignore the loudly expressed views of the majority of ordinary Nigerians. 19. I have heard that majority say, that we need to rebuild trust by involving them in the process of developing a guiding document of our national political relationships which is more acceptable to all sections of the country. I have heard our people say that we need to openly and frankly discuss our problems and seek acceptable solutions instead of allowing them to fester and remain sources of perennial conflict. 20. I have also heard them say that, as the elected representatives of our people, we must never arrogate to ourselves all knowledge and wisdom regarding the development of our country. 21. And I am in full agreement with our people. The power we hold is, without question, in trust for the people. Sovereignty belongs to the people. Their voices must be heard and factored into every decision we take on their behalf. 22. This National Conference is a very important avenue for the voices of our people to be heard. Our people have yearnings and desires that need to be discussed. Their representatives at this conference are neither usurping the role of the National Assembly nor the Executive. They are complementing us in our march towards a greater and stronger union. 23. Over the years, well-meaning Nigerians have drawn attention to inadequacies in our current constitution. Some have described it as a military-inspired document which does not take into full consideration the genuine desires and wishes of the people. 24. The phrase in the preamble that says "we, the people," has been variously criticised as being misleading because, according to the critics, the constitution was not written by the people. There are also those who believe that the constitution is not our problem but the political will to faithfully implement it for the peace and progress of Nigeria. 25. While opinions on the matter can be as diverse as rain showers, I believe that irrespective of our personal views on the issue, no one can deny the fact that every constitution is a living document that needs to be revised and improved upon from time to time. The United States, which is the model democracy in the eyes of many, has amended its constitution 27 times since it was first adopted in 1787. 26. Some of our compatriots also believe that because we have held several conferences in the past, we do not need to hold another one. I do not share that view at all. 27. A deeper look will reveal that the challenges we faced before each of the preceding national conferences were different. The challenges of 1956 are certainly not the challenges of 2014, and definitely not the challenges that the nation will face in years to come. It makes sense, therefore, that as the challenges before us evolve, we must be constant and proactive in our search for fresh solutions. We cannot continue to proffer yesterday's solutions for today's problems. 28. This conference is open for us to table our thoughts and positions on issues, and make recommendations that will advance our togetherness. The issues range from form of government, structures of government, devolution of powers, revenue sharing, resource control, state and local government creation, boundary adjustment, state police and fiscal federalism, to local government elections, indigeneship, gender equality and children’s rights, amongst others. 29. We must not approach these issues with suspicion and antagonism. Rather, we should be open-minded and work to achieve what is best for Nigeria. Even though you come to the Conference as nominees and representatives of different interest groups, I urge you all to make a more united, stronger, indivisible and prosperous Nigeria your preoccupation and reference point at this national gathering. Whatever the pressures on you may be, I call upon you to put the best interest of Nigeria before all other sectional or group interests. 30. Indeed, I am quite worried when I hear people say that some participants in this National Conversation are coming here to defend and promote ethnic or clannish agenda. It is very regrettable that there are persons who believe that we cannot undertake any collective task in our country without the hindrance of ethnic rivalry even after 100 years of nationhood. 31. This conference gives us an opportunity to prove such persons wrong and I believe it will. As we start a new century of nationhood, we have an obligation to reshape and redirect our country for the benefit of our children. There should be no room for divisive cleavages and ethnic jingoism. There should be no room for selfish considerations that defeat the purpose of national progress. There should be room only for the national interest. 32. In the 60s, our country was ranked along with some developing countries including India, Malaysia and South Korea. Today, those countries have moved far ahead of us in several areas. My expectation is that the outcome of this Conference will be a positive turning point for our country’s development. We must seize this opportunity to cement the cleavages and fault lines that tend to separate us. We must re-launch our country. 33. I know the task before you is onerous; but there must be only one winner, and there can only be one winner if we do everything right, and that winner must be Nigeria. I urge you therefore to focus strictly on the Nigerian Agenda. 34. I expect that, as persons of integrity and honour, you will do nothing in this Conference that will undermine our efforts and desire to build a truly great nation. I also expect that your discussions will be informed only by the noblest of instincts and persuasions. 35. Our sole motivation for convening this conference is the patriotic desire for a better and greater nation. We are determined that things must be done in a way and manner that will positively advance that objective. 36. While we recognise that groups and communities are the building blocks of our nation, we must also emphasise that we need one another to build the solid and prosperous country of our dreams. 37. We cannot join hands together to build with a collective vision if we continue to harbour negative biases and prejudices against ourselves. 38. Yesterday's prejudices should die with yesterday. Today is a new day. This is the dawn of a new era. This is an opportunity to think anew. We must jettison the poisonous mind-sets of the past, which were built on unhealthy competition among our diverse groups and peoples. 39. We need a new mind and a new spirit of oneness and national unity. 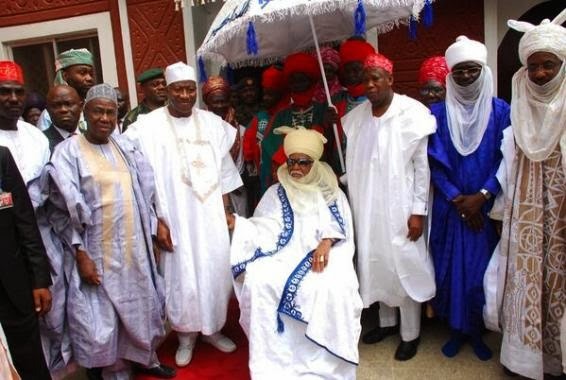 The time has come to stop seeing Nigeria as a country of many groups and regions. We have been divinely brought together under one roof. We must begin to see ourselves as one community. We are joined together by similar hopes and dreams as well as similar problems and challenges. What affects one part of the community affects the other. 40. An average Nigerian sees every part of the country as home. Let us seize the opportunity of this Conference to do more to further turn our diversity and plurality into unique national resources for strength and greatness. 41. I have always affirmed that our ability to stay together despite our acknowledged differences, when other countries are finding it difficult to meet that challenge, is a powerful statement by Nigeria to the world on the virtues of tolerance and unity. 42. It is a strong and compelling statement in a world much afflicted by strife and violence. We must sustain it. We must not allow the antagonists of unity and togetherness to prevail. We must work ceaselessly to remain one nation bound in freedom, peace and unity, as our National Anthem says. 43. Honourable Chairman and distinguished delegates, I urge you not to be under any illusions as you begin your assignment. The task that lies ahead of you is formidable. Over the coming weeks, you will be confronted with complex and emotive issues; strong views will be expressed by opposing sides and some disagreements will, in all likelihood, be intense. 44. I sincerely believe, however, that we can overcome all obstacles to true national unity if we dig deep into the recesses of our national character and look up to God Almighty for wisdom, guidance and the generosity of spirit we need to ensure the success of this conference. 45. Once again, I wish to express my appreciation to the Nigerian people who have, without hesitation, accepted dialogue as a means of resolving all differences and tensions that may exist in the country, and therefore, given their unequivocal support for this National Conference. 46. Let me at this point thank the National Assembly for introducing the provision for a referendum in the proposed amendment of the Constitution. This should be relevant for this Conference if at the end of the deliberations, the need for a referendum arises. I therefore urge the National Assembly and the State Houses of Assembly to speed up the Constitutional amendment process especially with regard to the subject of referendum. 47. I thank the Chairman, Senator Femi Okurounmu and members of the Presidential Advisory Committee for the arduous work they undertook to prepare for the Conference. I also thank the Chairman of this National Conference, Justice Idris Legbo Kutigi, the principal officers and all the distinguished patriots and representatives of our people who have taken time off their busy personal schedules to serve the cause of national unity and progress at this conference. 48. I am confident that we are embarking on a landmark journey that will make us stronger as a nation if we undertake it with all sense of purpose and sincerity. Let us do that which is selfless, purposeful and patriotic so that history will remember us for having served our nation well. 49. In conclusion, I urge all officials and participants in the national conference to work extra hard to ensure that their deliberations are completed on schedule, well ahead of the schedule of events for the next general elections already announced by the Independent National Electoral Commission (INEC). 50. 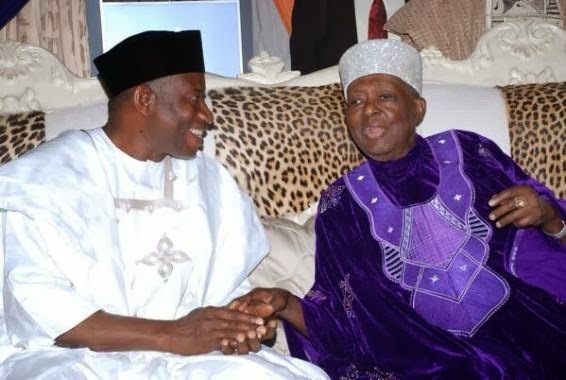 Let me again repeat what I have been saying that Goodluck Jonathan has no personal agenda in convening this national conference. 51. Ladies and Gentlemen, I now have the honour and privilege of declaring the National Conference open, for the good of our Nation and to the glory of God Almighty who has brought us together. 52. I thank you all. 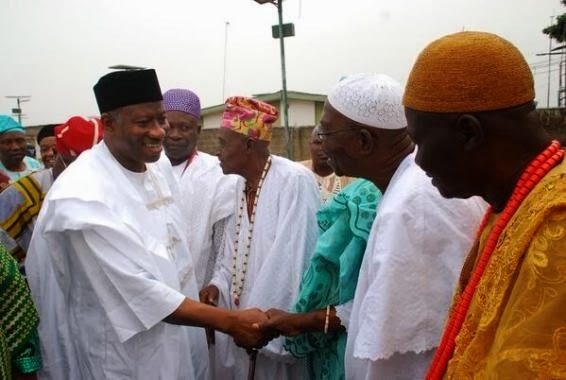 President Jonathan on February 15th visited four traditional rulers in Kano, Osun and Lagos States. 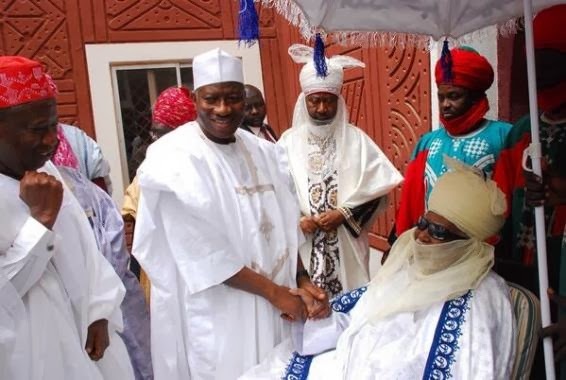 President Jonathan paid private visits to the Emir of Kano , Ooni of Ife, Alaafin of Oyo and the Oba of Lagos.